The book follows the ups and downs in the life of Ivy Ames following her sacking from her high-flying New York job and the discovery of her husband's unfaithfulness. 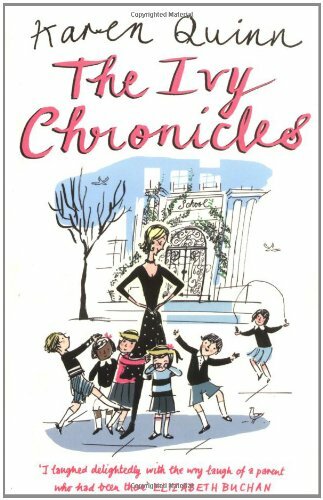 Ames sets up a consultancy helping Manhattan's rich and powerful get their beloved children into one of the top private kindergarten schools while juggling the lives and needs of her own 2 children, recently out of private school themselves, and a downsizing move to a less salubrious area of town. This book is in the chick lit vein and certainly won't win any literature prizes. However it is an entertaining read, with enough romance, skull-duggery and interesting characters to keep the pages turning. FINALLY parcelled up and ready to send to nice-cup-of-tea tomorrow. Will be sent paper rate airmail from Birchwood PO. Ah, what can I say? I tried to resist, really I did, but I started reading this last night and it was just the reading matter I needed. Fun, without being too challenging! Plus, it had a good evening and whilst the heroine annoyed me at the start, she certainly grew on me :-) Thanks Glasgowgal! Hmmm... at some times, I wanted to throw the book into a far corner. It was just so superficial and stupid at times. But then, I liked the turns in the story. And the book was an easy read, what was/is the right thing to read at the moment. But still... it could have been much better. I took it home from the meeting in Cafe Gloria. I see it has gone around a lot in Zurich already! I think I'll release it in France somewhere at Christmas so it can travel a bit further. I read it in two days, my two kids are sick and we didn't go outside at all. Thank god for TV!! ;) Just what I needed for those long days, an easy to read, quite funny at times, superficial book. Thanks! Argh, forgot to login again... I'm maliline by the way, not AnonymousFinder ! This book was funny and light to read, however quite frustrating and shallow at times. If this is the high life, i am so glad we dotn fly so high. But I did enjoy the book a bit. Just completd it today. This book arrived in the post today along with a gardening angel (what a cool idea!) Also included in this generous package was a gorgeous bookmark. Many thanks Potat1556 for this RABCK!